As a rock 'n' roller in the 1950s, Bobby Darin wasn't quite convincing. And his "folk-rock" period of the mid '60s was pretty useless as well, as far as I'm concerned. But in the late '50s and early '60s, Bobby Darrin was a mighty mighty man when he threw himself into the world of big band swing and Sinatra-style pop. But the second greatest Bobby Darin song was another one he took from the theater: "Artifical Flowers." 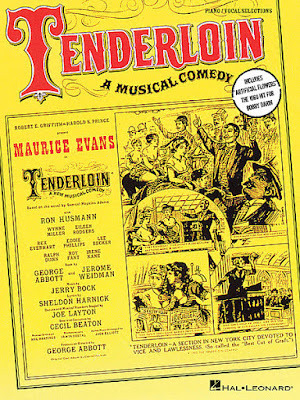 It was from from a Broadway musical called Tenderloin by Jerry Bock and Sheldon Harnick -- who would become famous for another musical, Fiddler on the Roof. Tenderloin, which debuted in 1960 was about a crusading minister in 1890s New York, and this song tells of the need for some serious crusading. Poor Little Annie, an orphan like that other little Annie, makes a pretty crummy living making pathetic fake flowers to sell on the street. With paper and shears, with some wire and wax/She made up each tulip and mum/As snowflakes drifted into her tenement room/Her baby little fingers grew numb. ... They found little Annie all covered in ice/Still clutching her poor frozen shears/Amidst all the blossoms she had fashioned by hand/And watered with all her young tears. But like "Mack the Knife," Darin turned "Flowers" into an upbeat swing that belied the horrible, melodramatic story and the hideous fate of poor little Annie. Here is how the song sounded in the actual musical. Actor Ron Husmann sings it. But it don't mean a thing because it ain't got no swing! 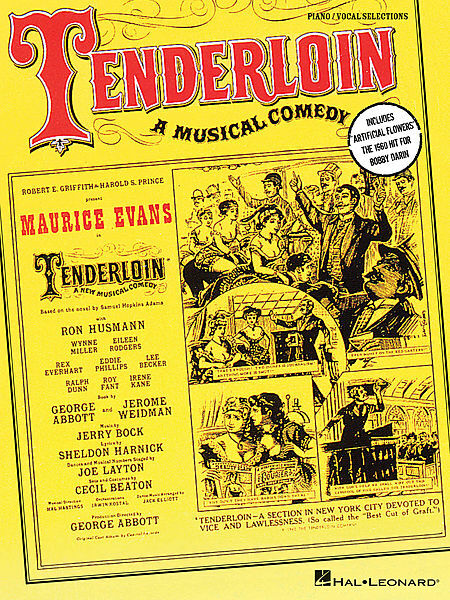 Tenderloin was based on a book by muckraking journalist Samuel Hopkins Adam -- a fictionalized story of the battles in the 1890s between the Rev. Charles H. Parkhurst and New York's corrupt Tammany Hall. But the story of "Artificial Flowers" came from a much older source. It's based on a Hans Christian Anderson short story from 1845: "The Little Match Girl." Like Little Annie, the impoverished match girl has to sell her product -- matches -- out in the cold streets. And like our sad heroine of "Artificial Flowers," she ends up freezing to death. But unlike Annie, the Little Match Girl is not an orphan. She has a cruel father who forces her to sell the stupid matches and a kindly, but dead, grandmother who comes to her in visions. And a British synth-pop group from the 1990s called The Beautiful South did a mopey version. Look for that HERE -- if you feel you must. But here's a song that represents the natural evolution of "Artificial Flowers," sure to bring you to tears. Actually, besides the similar title, I don't think this song has anything to do with poor little Annie. But the video is pretty bitchen.